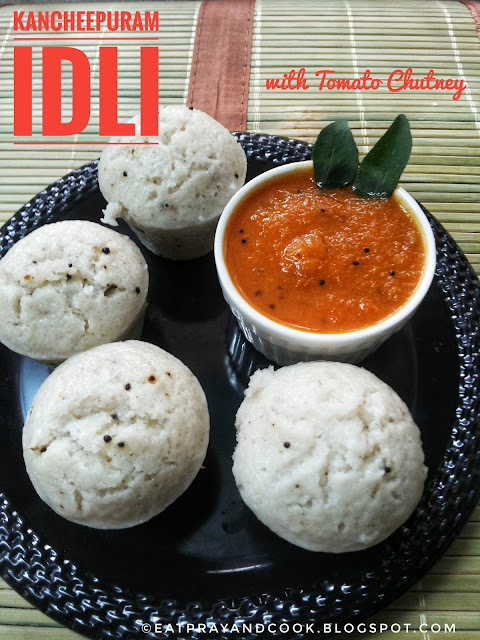 I remember my grandmother used to make "thalicha idli" or tempered idli. Now I come to know that kanchipuram idli is somewhat like this idli but with more spices. I visit Saravana Stores, Padi, Chennai, once in a while. Last time when I went to that store, I bought these cute idli cups. 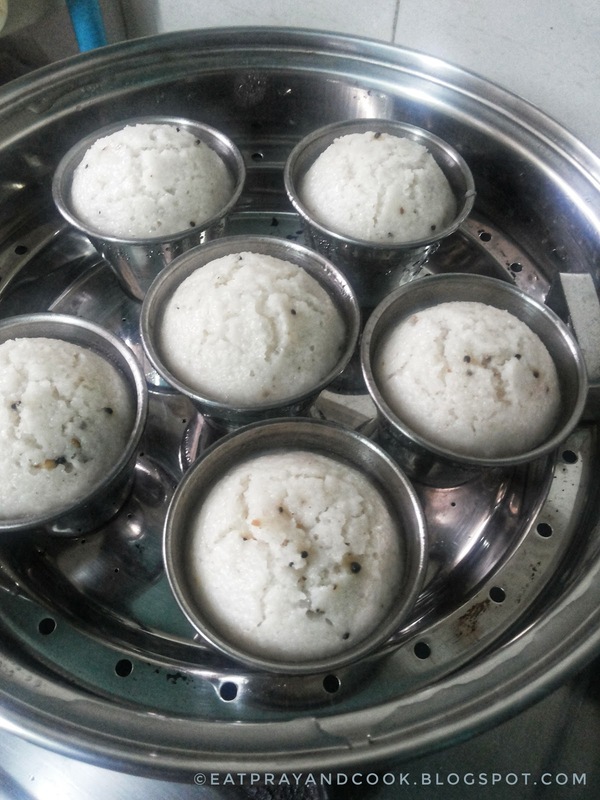 i used them to make kanchipuram idli this time. The idlis came out cute and good. I would recommend you to consume the idlies when they are still hot. That's when you can experience the real flavour of the spices added. The awesome and subtle flavour of the dry ginger and pepper in kanchipuram idli is wonderful. Since these idlies has these spices, I guess they are healthy too. I made easy red chutney to accompany the kanchipuram idlies. 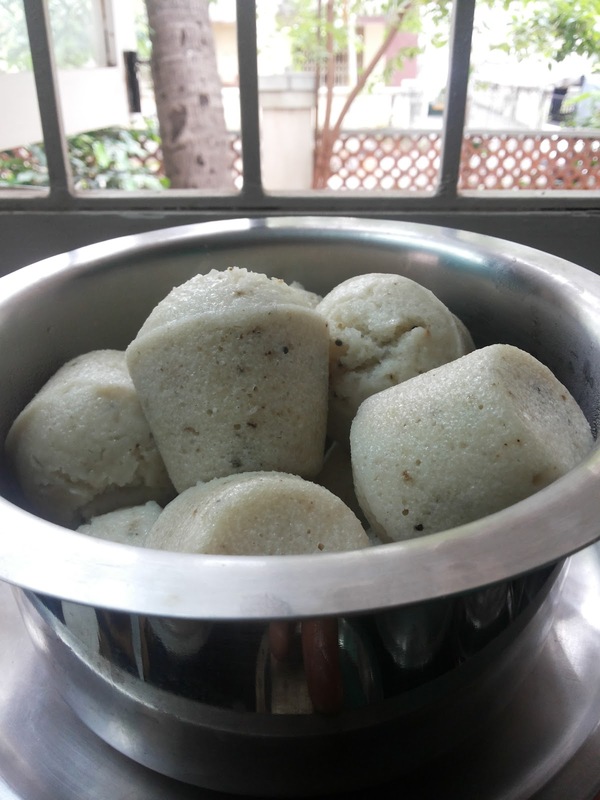 There is a different recipe for kanchipuram idli. But today, I made it with our regular Idli Batter. 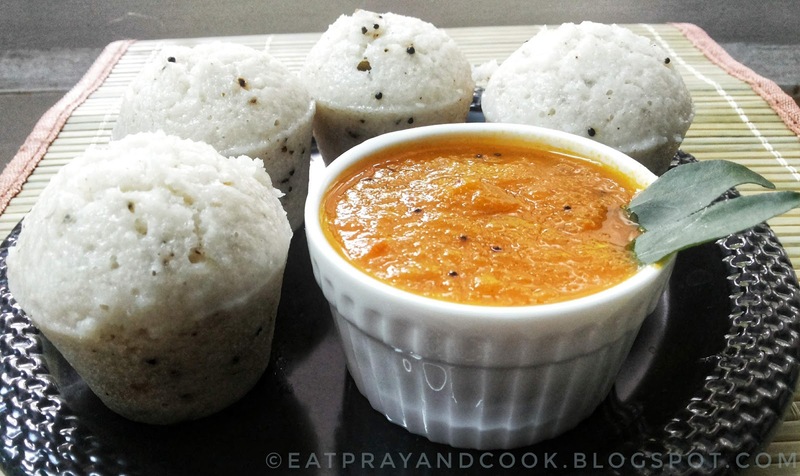 Let me quickly take you to the kanchipuram idli recipe. take the required quantity of idli batter. add the above mentioned ingredients like ginger, green chilli, curry leaves, cashews, the spice powders and sesame oil (2-3 tablespoons). do the tempering also and add to the idli batter. grease the idli moulds. you can use regular idli plates too. pour the idli batter and steam cook the idlies for 15 to 20 minutes depending on the size of idlies you are making. once done, your kanchipuram idlies are ready for serving with your favourite chutney (peanut chutney, raw onion spicy chutney, mint chutney, gram dhal chutney or coconut chutney). You can check whether the idlies are cooked by the sticking the knife or a tooth pick to the idli and see whether it comes out clean. Try these Kanchipuram idlies in your home and tell me how it came out.